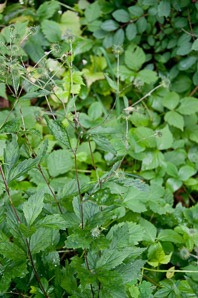 Canadian black snakeroot is a native North American plant. Identification: Plants are 12-24" (30-60 cm) high. Stems are light green, sometimes furrowed. Leaves often occur in groups of three, and are less than 3" (7.6 cm) long. Flowers are in small clusters, greenish-white, not especially interesting. Seed pods, about ½" (1.3 cm) in diameter, have hooked, Velcro-like bristles. 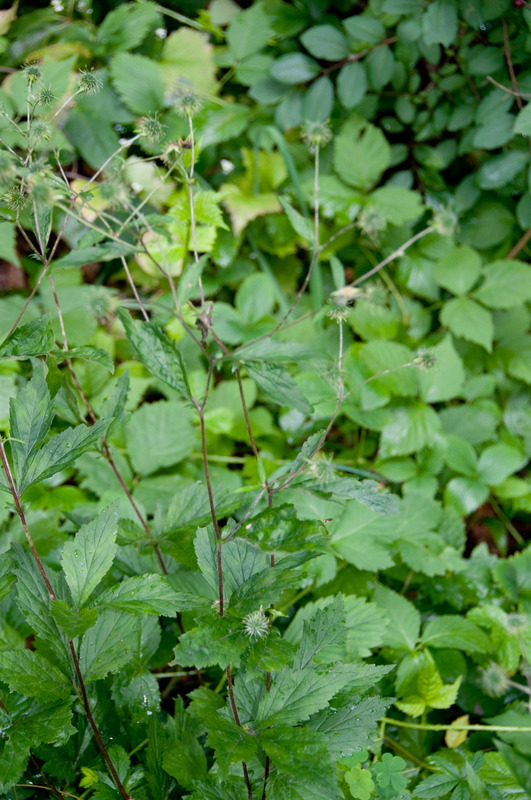 Don’t confuse black snakeroot with the unrelated plant, Canadian black snakeroot. 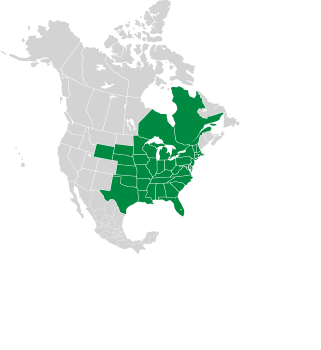 Both of these plants are found in eastern Canada and the eastern United States. Plant Plants reach 10-24" (25-60 cm). Plants are 3-6' (91-182 cm) tall, rarely to 9' (2.7 m); and fast-growing. Plants are 12-24" (30-60 cm) high. Stems are light green, sometimes furrowed. Flowers White flowers form on tall stalks up to 8' (2.5 m) in height, with the flowering portions up to 20" (50 cm) tall. Long, attractive, feathery-looking spikes 6-24" (15-60 cm) long. Individual flowers have 4-5 sepals and are about ⅜" (9.5 mm) in diameter. Small clusters, greenish-white, not especially interesting. Leaves Leaves often occur in groups of three, on thin stems, and are saw-toothed. Toothed, irregular in shape, in roughly triangular clusters tipped by a larger three-lobed leaflets. Leaflets are 1-4" (3-10 cm) long. In groups of three, and are less than 3" (7.6 cm) long. Fruit Black or dark brown seeds. Fruits are ⅛-¼" (6-9 mm) long, thick, and leathery. 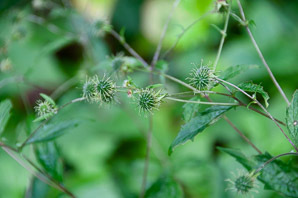 Seed pods are about ½" (1.3 cm) in diameter, and resemble burrs, with small hooks. Sanicula canadensis description by Thomas H. Kent, last updated 12 Oct 2018.